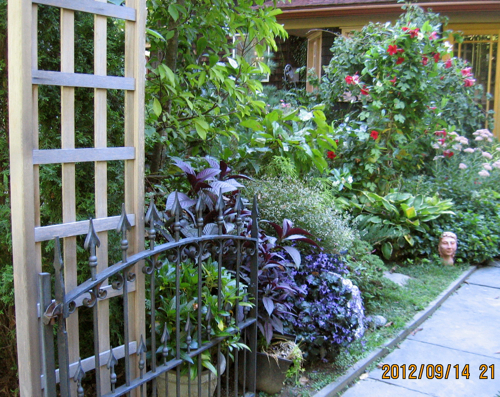 This is a photo of a house in my neighborhood with the look of fall plants & flowers. I looked up the definition of phenomenal and this is what came up:Â extraordinary, unique, exceptional, unusual, rare, out of the ordinary, unparalleled. Now, not all theses synonyms apply to Fall, because Fall is not rare or unusual, since it comes every year at this time. But I do think the others can apply in the sense that this is a once each year happening. 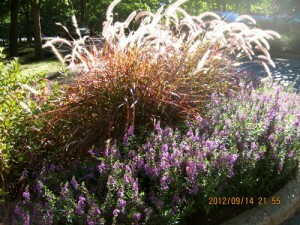 And for me, each Fall I anticipate the change in the air & the foliage, enjoying the mums with their jeweled tones, watching which trees change first and which ones hang on until Thanksgiving.Â So, for me, the whole experience is phenomenal, especially is if I see a group of trees in various shades of Fall! This group of trees is next to the post office where I walk. 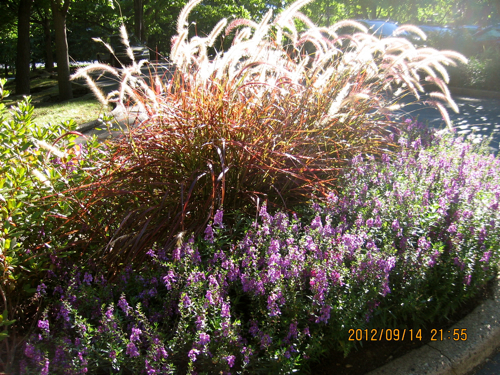 The bright tree turns first in early fall, and then the others follow suit. I took this later in October in a previous year. Currently, the trees are just turning. 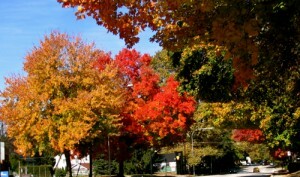 In addition to what Nature has to offer, we also have other activities in Fall. One is National Breast Cancer Awareness Month and I will be focusing part of my efforts on separating the riff from the raff, that is, which organizations are up to speed and which one is cozying up to corporate greed. 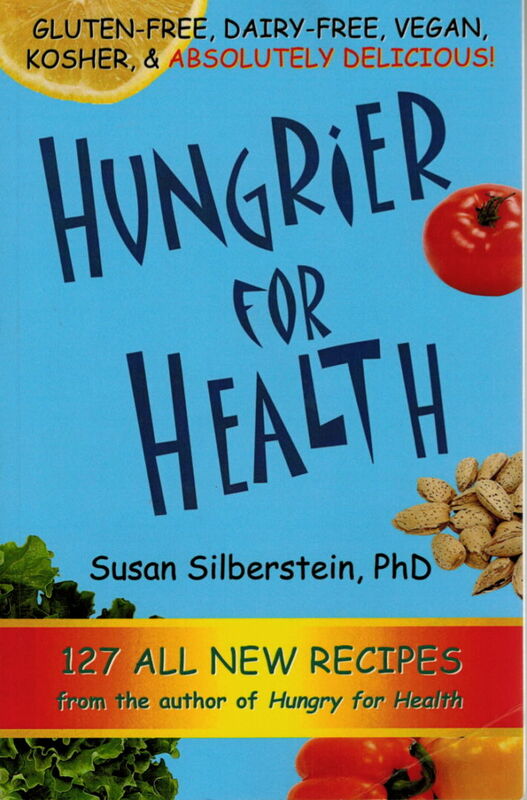 At a recent Health Fair which I helped coordinate, Dr.Susan Silberstein gave an excellent presentation and I will be sharing some of that information. In the meantime, feel free to go to the website: www.beatcancer.org. 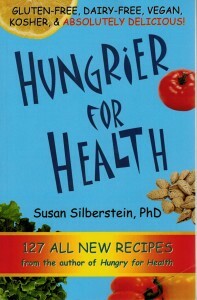 I reviewed one of Susan’s cookbooks some time ago, Hungry for Health, and I will review a newer one called Hungrier for Health, which is gluten & dairy free as well as vegan. 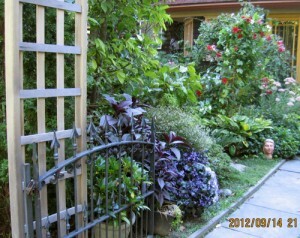 Her motto is Prevention is the Cure, which I think is a great statement for her non-profit organization. October 1st, is World Vegetarian Day and at the end of the month is World Food Day (Oct. 26th), so they are the bookends for this month for a refocus on the importance of nourishing foods in your life. 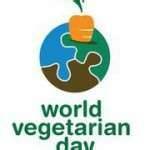 Even if you are not a vegetarian, you might want to try a meatless dish for today. You can have rice & beans with veggies in a burrito or pasta & asparagus with pesto. Taking a break from meat might be a good habit to cultivate, since a change in what you eat may give you a different perspective on the importance of food in your life.Â Wikipedia notes that this day was established in 1977 by NAVS (North America Vegetarian Society) “to bring awareness to the ethical, environmental, health and humanitarian benefits of a vegetarian lifestyle.” According to this source, this is actually Vegetarian Awareness Month, culminating in World Vegan Day on November 1st. Since my recipes are already vegetarian and mostly vegan, with little or no sugar or gluten, you won’t see any changes in my recipe ingredients. But hopefully you will try some of them! 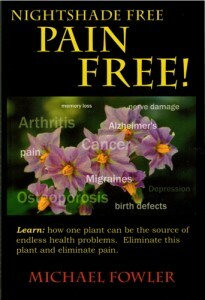 Nightshade Free, Pain Free is an interesting book on the power of changing your diet to eliminate pain. The focus is on the nightshade family, which includes tomatoes, white potatoes, eggplant, peppers (not black pepper), and tobacco. When I purchased the book, I thought it was a cookbook eliminating nightshade, but it is actually a well-researched book on the foods that, for some people, contribute to pain. Actually, many years ago, I read about research from Rutgers Univ. that some people have a kind of allergic reaction to these foods that can lead to arthritis; thus, much of the information was familiar. However, Fowler dives deeply into the history of these foods, especially the potato, and makes a convincing argument for avoiding these foods. 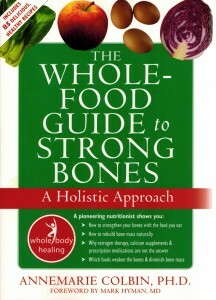 On page 114 he lists the possible long term effects of making nightshades a regular part of your diet. Fowler says these are possible long-term effects. Since Michael himself discovered that eating nightshades triggered his health problems, his passion to pass on this information is apparent.Â Because he is not a scientist, you may want to investigate some of the sources in his reference section. The easiest way to see if these four foods (plus tobacco; but smoking is bad anyway) affect you is to eliminate all of them for four or five days. Then on the 5th or 6th day eat meals with these four foods to see if the pain you have been experiencing comes back strongly. If so, you may be one of the people who has a reaction to these foods and may want to cut back on how often you eat them, or eat nightshades only once every four days to help your body remove the toxins they trigger in your body. In his research, Fowler shows how some of these foods were consider poisonous earlier in food history. their flowers resemble those of poisonous non-edible plants, so there is some value in checking out his book if you suffer from chronic pain or some of the symptoms of the ailments listed above. There is no financial risk in trying an elimination diet and there is no medical cost. It is a test you can do on yourself for any food that might be triggering a negative reaction in your body.Â As for planning meals without tomatoes, white potatoes, eggplant and peppers, there is a challenge, especially since potatoes & tomatoes are popular items in almost every cuisine. 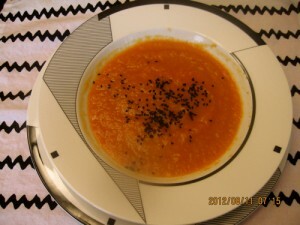 I know you can cook carrots & beets and puree them for a tomato free pasta sauce & you can substitute sweet potatoes for white potatoes in many recipes. Eggplant is tougher to replace, but of the four foods, it is probably the least used in everyday meals. I think peppers are the most difficult, since they are packed with nutrients, add flavor to any dish, and in the case of red & yellowÂ peppers, add color to a dish. Michael Fowler’s book is a good resource for learning about the “risks” of nightshades for some people. If you think you have symptoms that cause pain, you can try the nightshade-free diet without any cost to you. Don’t you think your health is worth it? You are currently browsing the Menupause weblog archives for September, 2012.